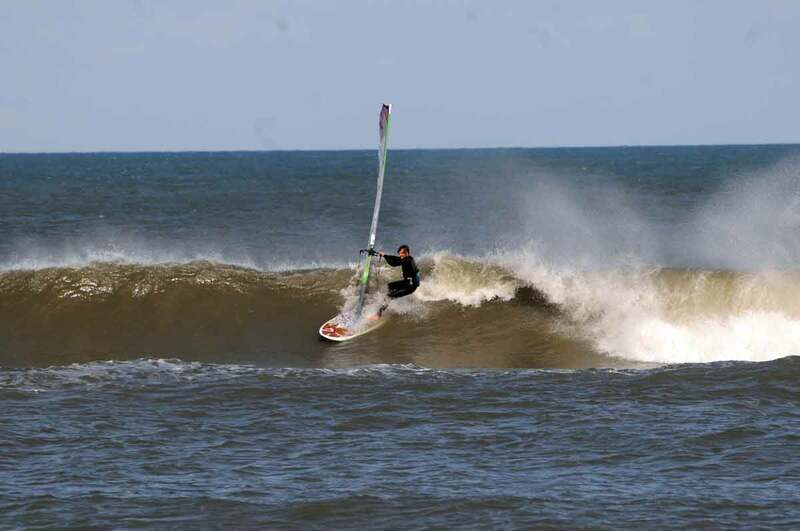 Bill's OBX Beach Life: OceanAir Ken is ON IT Light Air SUP! Keith cleaned up another shot by photographer Rick E of Ken Ahrendt on a nice wave the other day at Ramp 30! Light air SUP wavesailing in Hatteras! nice! what board is he sailing? nice. looks like a fanatic pro wave. is that thruster or quad?